﻿ Eats to Die For! It starts for movie buff Dave Beauchamp, L.A.'s most hapless P.I., when the tomato walks into his office. At least that’s how she's dressed. But the woman in the tomato suit is not what she seems...and the restaurant she's promoting, which is owned by a powerful religious cult, harbors a deadly secret. "Aided" by the voices of classic film stars inside his head, Dave struggles to disentangle a web of corruption and murder, or die trying. 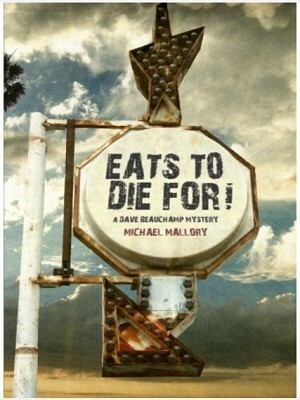 Both suspenseful and laugh-out-loud funny, Eats to Die For! proves you don't have to be crazy to live in L.A….but it doesn't hurt.